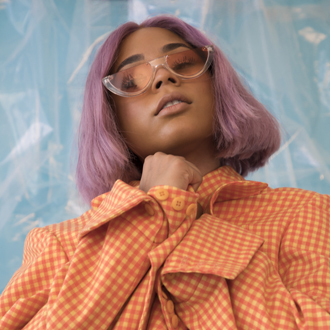 Pop singer/songwriter Tayla Parx has suddenly become one of the hottest songwriters in the music business. She co-wrote the number one song on the Billboard Hot 100: “Thank U, Next,” by Ariana Grande. She also co-wrote the pop/rock hit “High Hopes” for Panic! at the Disco,” which is #6 on the Hot 100 this week and still rising. In addition, she co-wrote the recent Top 10 pop/R&B hit “Love Lies” by Khalid & Normani, that is still in the Top 20. In this very competitive age of pop songwriting, it’s an impressive achievement for a songwriter to co-write one, Top 10 hit on the charts. But to co-write and have three Top 10 hits on the charts (including a number one song) is rare and unique. On top of this, Parx is a recording artist who has signed with Atlantic Records. She’s already released singles & videos that have attracted over a million views on YouTube. Parx will be releasing her debut album, called We Need To Talk, in early 2019. Parx, who lives in Los Angeles, started her career as an actress, appearing in movies and TV shows. She was featured in the hit 2007 film Hairspray, that won Best Acting Ensemble at the Critic’s Choice Movie Awards. Parx has also appeared on several TV series, including the Nickelodeon sitcom True Jackson, VP (where she had a recurring role), plus Gilmore Girls, Everybody Hates Chris, Carpoolers, Bones and Victorious. During the past few years, Parx has made a successful transition into songwriting. One of the first cuts she co-wrote was “My Everything” with Ariana Grande, which became the title track for Grande’s 2014 debut album. Since then, she’s co-written songs for Fifth Harmony (their chart single, “Boss”), Mariah Carey (her chart single, “Infinity”), Jennifer Lopez, Jason Derulo, Chris Brown, Demi Lovato, Christina Aguilera, Pentatonix, Meghan Trainor, Alicia Keys, Quavo, Fergie, Chris Lane, JoJo, BTS, Janelle Monae, Anderson Paak, Prince Royce, Keyshia Cole and other artists. As an artist, Parx in 2018 has released the songs “Me vs Us” and “Slow Dancing,” and filmed videos for both songs. She has also been a featured vocalist on cuts with Chris Brown and pop/electronic duo, The Knocks. Parx is signed with Warner/Chappell Music and her manager is Richie Kipp. We are pleased to do this new Q&A interview with Tayla Parx. She tells how she got started as an actress and songwriter, and how she co-wrote the hits “Thank U, Next,” “Love Lies” and “High Hopes.” She also discusses her upcoming debut album as an artist. DK: How did you get started as an actress, and then make the transition to becoming an artist and songwriter? Tayla Parx: I’m from Texas originally, and there was a dance school run by Debbie Allen (choreographer & actress). She was the first person to really take me from singing at home to performing in Kennedy Center in Washington DC from ages 9-11. Then I transitioned into the film/TV screen aged 12-17, and began writing for some of my favorite artists—it’s been a really interesting journey for me as a creative overall. I went from having to prove that I wasn’t just some actress trying to sing, to working with everyone I looked up to. I truly had to gain the respect of my peers and fight to be respected being both a young African-American woman, and actress. DK: In 2014, you co-wrote the title track “My Everything” with Ariana Grande. How did you connect with Ariana, and was that one of your first cuts as a songwriter? Parx: Funny enough, me and Ariana met when we were around 18 years old. We both were on Nickelodeon shows (I’d later join Victorious for one episode), we had mutual friends, and also we were fans of each other previously. I had seen her in this show 13 and she loved Hairspray, so there was always a mutual respect growing up! Who could’ve guessed that two years later, I’d write the title track “My Everything” for her album. DK: From 2014-2017, you co-wrote many songs for artists like Fifth Harmony, Mariah Carey, Chris Brown and Meghan Trainor. During this period, were you mainly focused on writing songs for other artists? Parx: Yes, most definitely. I really wanted to perfect my craft, learn everything I could, and really take the time to discover who I was an artist both visually and sonically. There were and still are so many things to be learned from being a part of your peers’ experiences, from the old school to the new school. DK: One of your current hits is “Love Lies’ by Khalid & Normani. How did you connect with them to write this song? Parx: I have my own personal relationship separately with both Khalid and Normani, so for us to all three be in a room was a great time. Khalid is a very talented singer-songwriter and because we’re all friends, it was just so much fun. It only took us about two hours between choosing and track cutting rough vocals! DK: “Thank U, Next” by Ariana Grande is now the number one song in the country. How did you write this song with Ariana and the other writers? Parx: Ariana, Victoria (McCants) and I were in New York for the week in a studio/therapy session, and it was interesting, because every day we wrote a new song based off of what she had just experienced. “Thank U, Next” in particular—I had seen this Jane Fonda documentary and I loved how she described her evolution into the woman she is now, through the men she dated along the way. Ariana loved the concept of that and thought …why not tell her own story. She allowed herself to be extremely vulnerable with us throughout the entire process, which is any songwriter’s dream. Between the three of us, the topline fell into the perfect sweet spot of vulnerable and confident. Without bashing anybody, she was able to talk about how thankful she is for the good and bad of each experience. DK: You also co-wrote “High Hopes” for Panic! at the Disco, which is a big hit on the pop and rock charts. How did you hook up with the group to co-write this song? Parx: “High Hopes” started off with a group of amazing writers and producers during a BMI camp in Aspen. It was actually my birthday, and I decided to work anyway…safe to say I’m happy I did. was co-written by Tayla Parx. Parx: Thank you! It means a lot to me when people react to a song that’s genuinely me. I recently did a joint venture with Atlantic called TaylaMade, and it’s been so fun to explore my own creativity with no limits. My artistry was kicked off with my TaylaMade mixtape with featured Khalid, and Syd from The Internet. Vogue (magazine), Billboard, Nylon and so many others reacted well to that piece of work, and it inspired me to continue showing my perspective and growth as an artist. DK: Are you working on a full album? I read that your upcoming project is called, We Need To Talk. Parx: My album We Need to Talk is coming in early 2019. In both my fashion and in my music, the philosophy is to defy every rule we ever thought we had to follow. Let’s redefine genre & gender. Rethink feminism, reshape R&B/Pop music. My music is very much so my personality. It’s fun, introspective, quirky and effortlessly me. It’s my own colorful world.